I created this Etsy treasury full of awesome vegan finds! Pick up a few things to treat yourself or a friend! Enjoy! 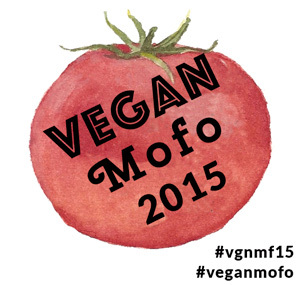 Vegan mofo is one full month of vegan blogging about food (and more). Seeing so many awesome blogs and food out there really inspires me - just like the wonderful picks from the people in this grouping! I know a few people who could do with that vegan police badge.